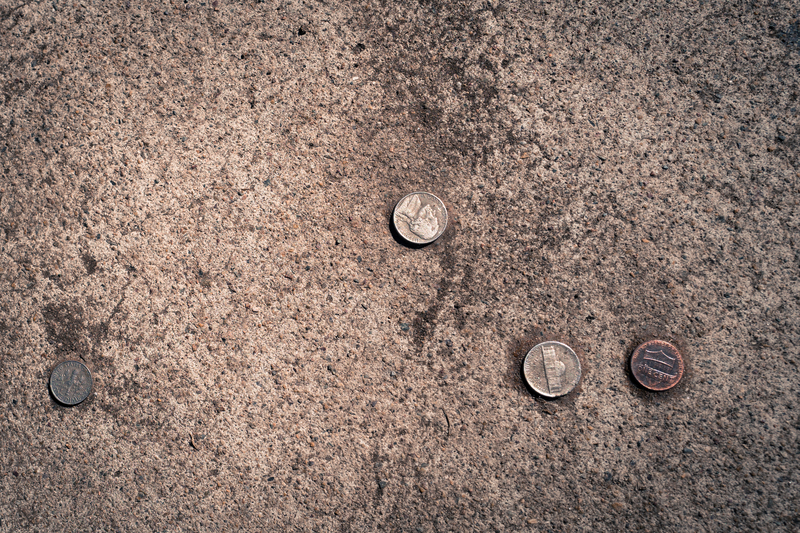 While walking along Kansas from 30th Street in North Park towards the University Heights boundary at Texas, I spotted 21-cents change on the sidewalk. I moved about 10 steps before turning back—not to grab the coins but to capture the moment with Leica Q. Why leave dime, nickels, and penny? Doing so is a more interesting story than taking them. I wondered why the change remained. Had no little kids, or perhaps someone homeless, come by? Surely 21 cents would mean something to someone. 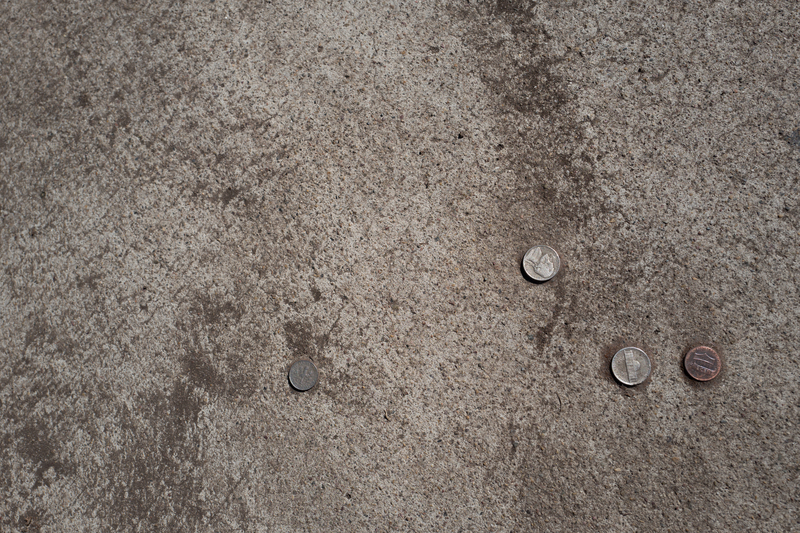 Were the coins maybe embedded in the cement (I didn’t check)? Who had left them there? Were they an accidental loss that kept little Johnny from buying ice cream at the corner store? Maybe they were dropped by someone so wealthy picking them up wasn’t worth the time? Oh the questions the forlorn change raised from its fallen, forgotten state. The Featured Image is a close crop given a little dramatic panache by applying Old Polar filter and vignette in Adobe Lightroom Classic CC. The second is the original, which more mysterious composition—as shot—appeals more to me. But the crop does better showing off the amazing detail that Leica Q’s 28mm f/1.7 lens and 24-megapixel full-frame sensor can capture; and not even using Macro Mode. Vitals, aperture manually set for street shooting: f/5.6, ISO 100, 1/1250 sec, 28mm; 12:33 p.m. PST, today. Take a look at them full size to see the detail. But, please, should you discover that any are rare and therefore worth more than their face value don’t tell me. I don’t want to know!